Here's 7 things to get right to avoid the pitfalls we've discovered over the Internet years. 1) Lockers delivered assembled may save on labor, But increase the risk of damage and additional freight. Set up lockers take up much more space on the freight truck and the risk of damage increases here's why. Typical carriers today only deliver to the back of the truck. The purchaser is required to offload and bring inside. Make sure your building has a loading dock or order the delivery with a lift gate to minimize the risk of damage. Before ordering check your elevator or stairways to be sure setup lockers will fit. When accepting the delivery, Inspect the boxes carefully, If you see damage, Point it out to the driver. You can then accept the delivery. But Please mark the delivery ticket "Box damage, Subject to internal inspection" If you do not do this, Its assumed by the carrier that their is no damage. You then become responsible for any damage. If possible call the vendor while the truck is there. Tell him whats going on. Gale's (est. 1938) provides our cell #'s to our customers to help you avoid pitfalls. Finally its true the lockers come fully assembled, Well almost. They have to be taken out of the boxes. Anchored to the floor and walls. Number plates need to be placed on each locker with a rivet gun. And if you bought built in combination locks, sloping tops, z base instead of legs. They all need to be installed on site. 2)All manufactures have standard stock sizes, 12" w x 18"D x 78"H is the biggest stocked industry standard. larger sized lockers will take 4-6 weeks and longer in the summer months. Prices go up substantially for non stock sizes. Go with the flow and buy standards. They are plenty big. Gale's Industrial a leading supplier for Lockers in the NYC Metro area, Will be happy to meet you at one of our hundreds of install sites to see the lockers in use. Or we will bring you one to try out. 3) All manufacturers now offer up to 30 different colors for free, But all only stock lockers in grey, tan or blue. Other colors can take 4-6 weeks and longer in the summer peak season. 4) Great prices can be had over the net, However large local distributors buy in such great quantities they can beat all net prices, Provide on site layout assistance and accept the responsibilities of making sure what you ordered is correct. Our Largest customers Architects, General Contractors never just purchase over the net. If you miss ordering just one item on a large job the results could be devastating. Ex: Closed in bases list for $15. each. If you have a locker project for 70 lockers and forget the bases it just became a $1,050.00 mistake and that's just one item. The bottom line is the lowest initial price, May not be the lowest overall cost. 6)The truck arrives sometime during the am or pm, During the business day. Unless you ask for inside delivery and or a litigate, It won't happen. Some large buildings will not allow deliveries during business hours, Check with the Building Manager. 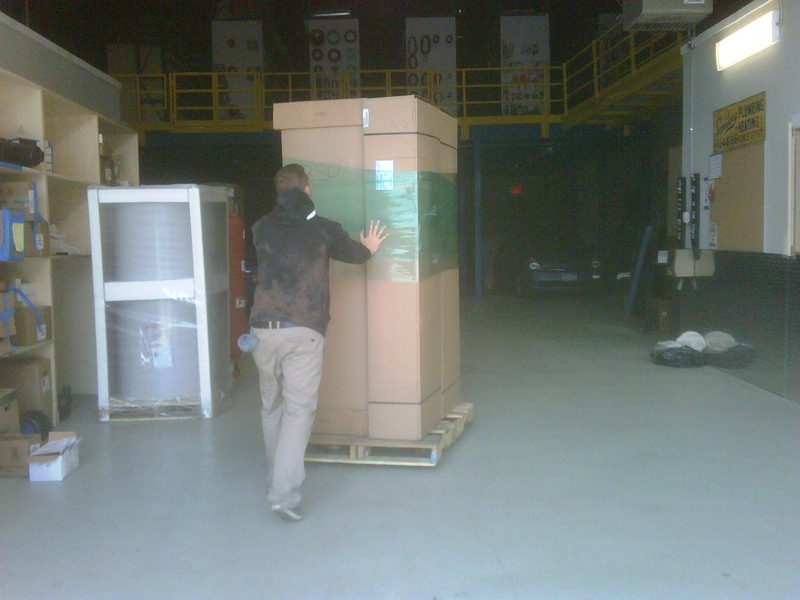 Some buildings require the delivery company to provide insurance certs prior to delivery. It's free but if the delivery is rejected by the building, The freight rate just doubled. Solution call your Local Master Distributor. Its well worth the cost. 7)ADA Guidlines require 1 out of 5 lockers being ADA rated. Contact Gale's for ADA locker guidelines and required Aisle & Radius size. Call Gale's if you need layout, product selection assistance. Its free, We'll help you save space and your budget. Types of Lockers in stock: Single Tier, Double Tier, 6 Tier lockers, Triple Tier lockers, 3 wide lockers, 1 wide lockers, assembeld lockers, KD knok down lockers. 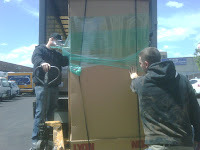 Penco Lockers NJ NYC, Lyon Lockers NYC NJ.